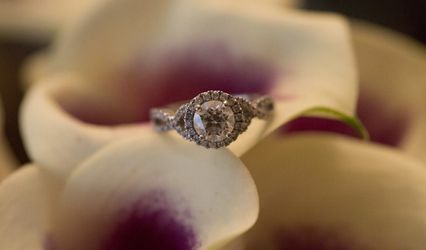 Professional Wedding albums with custom designed pages: Your day. Your style. Your story. You had a gorgeous wedding celebration.You partied all night. Everyone you love was there. 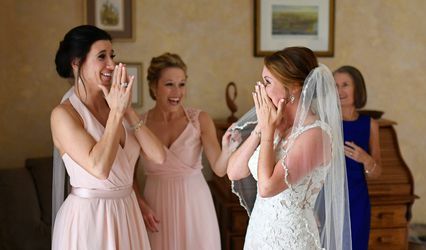 And now you've got hundreds of great wedding day photos - it makes you smile, and laugh, and sometimes cry to look at them. What a day to remember. But you never got the wedding album you wanted. And it's no fun watching your wedding day with a thumb drive on your laptop. That's ok now. We can make that album happen.That's what we do - create custom designed wedding albums for brides, families, and professional photographers. Since 2005. Choose your album from a huge variety of flush mount and matted albums from top book crafters. Then select the images you want to tell your story and upload them to us. We'll design the page layouts just to suit your style - as many revisions as it takes till you LOVE it! When you approve the design, we'll have it printed, bound, and sent right to you. We think you'll smile. In fact, we guarantee it. Look over the details on our website. Contact us to talk about your day and the perfect album for your story. We've even do a free sample page design to see how your album pages migh look. Really free. Really quick. Now you 've got no excuse. The best albums. Personal service. Custom and elegant design. Get the album that's worthy of your love, your day. We'd love to hear from you. I am so amazed with this company. I found them online when we first got married and wanted a coffee table book. We were beyond happy with the results. Fast forward many years later and we contacted Storybook Pages about the album. Our concern was handled so easily and so professionally. John is wonderful to work with!!! Excellent service!